You're on a hiding to nothing. Pointing out the unequivocal differences in criminality rates between ethnic groups automatically makes you a white supremacist and therefore not worth listening to. If you go back far enough you'll find some posts from me protesting not this, but that the clear crime stat variance is based on social and environmental factors as opposed to cultural ones (the genetic ones are equivocal at best). Researching this I found it to be apologist nonsense so I changed my mind. Adults have (generally) fully formed brains. White skeptics (redundant, I know) here were exposed to more lead as children than black children of the 1990's. I wonder what the kill count is for this forum. Where is "here"? What period of time? Last edited by LSSBB; 26th November 2018 at 11:48 AM. In children. My initial post referenced adults. Please keep up. I have no idea what point you are trying to make here. Lead exposure affects brain development and has been linked to crime. Lead exposure effects on crime lag development as children age to their teens and twenties. Blacks are much more exposed to lead than whites according to blood analysis. Lead sources are air, ground, and water pipes, endemic to older cities. In addition, blacks live in neighborhoods with lower employment opportunities, at lower wages, with worse schools, and have been subject to proven bias. More blacks have historically been incarcerated due to the outcome of these effects, exacerbating the situation. Therefore, a simple correlation of race to crime in no way "proves" race-based differences leads to differences in crime rates. One problem is that a single instance of a poor, white, relatively low crime urban area goes some way to disputing the purported significance of these findings. Multiple instances compound this. In other words, whilst the connection is likely correct we can't give it credit for the enormous discrepancy in racial crime in the US and in other countries such as London, UK. 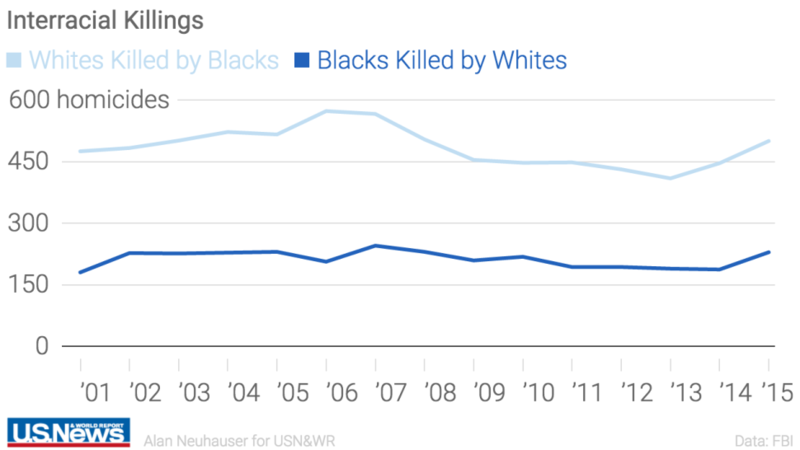 The latter boasts twice as many black murder suspects as white despite whites outnumbering blacks by more than 5:1. They breathe the exact same air. To my knowledge, whites are under-represented in serious crime in every white majority country in the world aside from possibly Russia. That's not white supremacy talk, however, as East Asians have us all beat hands down. For all areas, all factors need to be included to do a proper regression analysis. That includes exposure to lead including time lags, bias effects on employment opportunities, income and incarceration effects, and educational access. Of course, but in doing so we also need to factor in elements that form vicious circles, and isolate the causes from effects, e.g. To what extent does a lack of employment cause crime and to what extent does crime drive out opportunities for employment? It's often a case of deciding which is the chicken and which is the egg. That's where just doing plain statistical analysis breaks down, and you go into Monte Carlo analysis, or more complicated simulations. You may never get to an actual root. What you can do is see what factors make a difference, and press for changes to reduce those factors. What you can't say, without being able to do a thorough analysis, at this point with the data on hand, is say their skin pigmentation has anything to do with it (beyond proven bias effects in policing, employment opportunity, and income). Last edited by LSSBB; 26th November 2018 at 02:37 PM. London, UK. The latter boasts twice as many black murder suspects as white despite whites outnumbering blacks by more than 5:1. Your own link says 4.49:1. That's why I made a point of saying genes probably have nothing to do with it not five posts since. But culture does, and it's the single biggest factor IMO, by a wide margin. You mean, academic papers like these ones? Because aspects of your hypothesis can be statistically tested. Or is your personal cranial analysis supposed to convince anyone? Unless we account for every possible variable we cannot make any inferences about the world. There is a name for this fallacy but it slips my mind. The point was very easy to understand. I think you're feigning ignorance because you didn't like the point that was made. In the off chance you still are confused, I'll try to clear up your confusion for you. 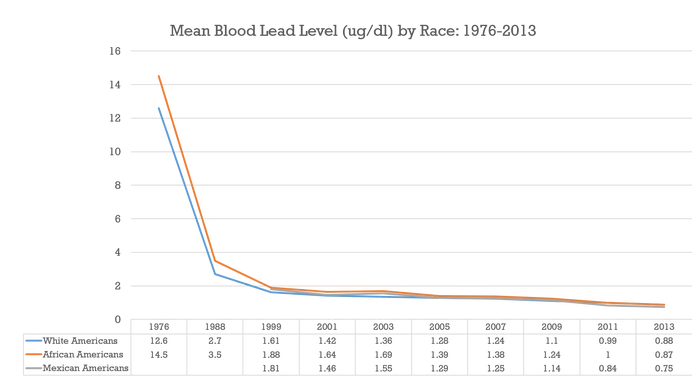 But lead exposure has decreased significantly in all race categories in the past several decades. White infants born in the 1970's were exposed to more lead than black infants in the 1990's. As I already stated, blacks in the US have access to more wealth than billions of people on the planet. Blacks out of poverty murder at a higher rate than whites in poverty. A simple correlation of lead exposure to crime in no way "proves" lead exposure-based differences leads to differences in crime rates. Crime has decreased also. Regression analysis of data from several countries pinpoints reduced lead emissions from autos due to unleaded gas as a key factor. Regression analysis, when properly performed, is a much better tool than simple correlation. The existence of wealth in the U.S. is no guarantee of access, especially if you start out disadvantaged by lack of education, lack of fortunate contacts, and the effects of racial bias in hiring and even policing. Just because Oprah has money, doesn't mean the guy who lives next door to me has the same access. ETA: and for the "Out of poverty", once again there is proven bias against blacks in hiring, policing, and the already discussed effects of lead shown via multiple studies and regression analysis. Last edited by LSSBB; 26th November 2018 at 09:22 PM. I have no idea about the first link because it doesn't load. Your second link is about how black hip hop culture is anti-police and anti-'snitch' and this hinders reporting and investigation of crime in black neighbourhoods. Your third link is along similar lines and talks of how black rap culture promotes misogyny, intolerance, objectification of women and domestic violence. So yes, those papers do seem to illustrate some of the negative effects of black culture. Not sure why you're making my argument for me as I'm not interested in convincing anyone, but thanks, I guess. The pile on myth tactic. Shame on you. The non-Americans members who are lurking are likely to repeat this garbage without giving it a second thought. I can easily debunk any of this nonsense but you piled on so it'd take me time I don't intend on investing. I'll just debunk the hi-lited part. When controlled for criminality, there are no racial differences in hiring practices. That's simply completely wrong. The discrimination in hiring is evidence by many pillars of support, across many fields, replicated many times, and is very robust. This is also true with the hiring bias against women. On top of this, as there is a bias towards policing minorities much heavier and sentencing them much more harshly, that compounds the issue of 'criminality' ruling out a potential hire. If there is a white applicant who has smoked pot every weekend from the age of 12 on, chances are he doesn't have a criminal record where the black applicant was arrested for it once while hardly ever smoking. Saying that 'criminality' explains it is just covering one racial injustice with another. My criminality was once quite high, but due to several biases and cultural advantages I was able to avoid much of a criminal record. I can't count the number of times I received a stern warning and promised the officer that this would never happen again. I now wonder if they were just pulling us over to stock their home bar and weed stash. Probably easier than stopping by the liquor store at the end of a long shift, but I digress. You forgot to say where this is true: Only in Spokane, Washington. Where there is only one "race". And us non-American members are very well informed of internal US developments, thank you. Our impression is that the obviousness of the house being on fire is more apparent from the outside than from the inside. Thank you for the anecdote. It's important to contrast anecdotes of "cultural advantages" with other anecdotes in order to not give the wrong impression to the members living near the arctic circle. Like anecdotes of public defenders. You're talking about blacks here, right? Because we know that East Asians, also a minority, have no problems getting hired, no problems staying away from crime, no problems making money, no problems succeeding even better than whites in majority white countries. When's the last time you heard of an American Japanese sitting on his arse, smoking pot and collecting welfare on the grounds that he had been culturally traumatised by the internment camps? Last edited by baron; 28th November 2018 at 03:14 AM. When people ask me about the major advantage of going to private school over public school, I have a very clear answer: I got detention for being caught with drugs on campus, public school kids went to jail. Criminality is for the poor. Ah, the 'model minority' argument along with racial stereotypes of black people. It's not true. The linked article is quite good at explaining. Yes the brain development of children is what lead intake effects. <snip> London, UK. The latter boasts twice as many black murder suspects as white despite whites outnumbering blacks by more than 5:1. They breathe the exact same air. To my knowledge, whites are under-represented in serious crime in every white majority country in the world aside from possibly Russia. That's not white supremacy talk, however, as East Asians have us all beat hands down. 3. Blacks are over-represented as victims of murder. It's always terribly convenient when one's in depth, bias free research confirms one's deeply held beliefs, isn't it? And? Who said it was? Yes, a by a large margin. 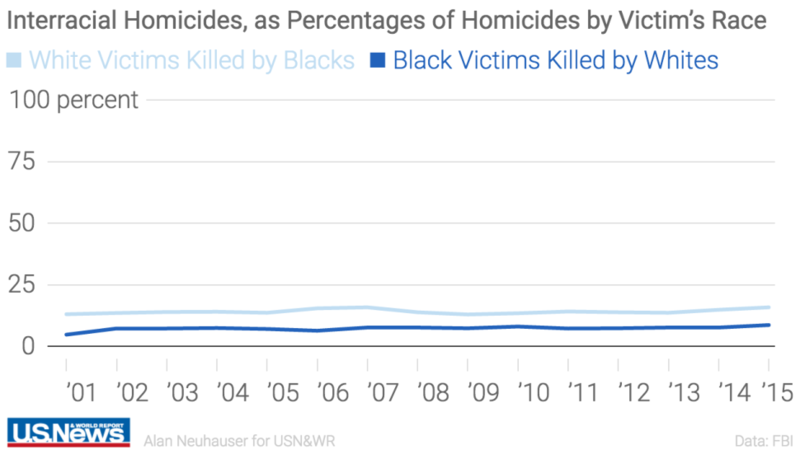 They are killed primarily by other blacks. White on black killings in the US are rare. In the UK, more rare still. Evidence, if any were needed, that abstaining from calling public figures nasty names does not in itself result in adult debate. For that I think the hit and run, evidence-free manner of posting needs to be addressed. Last edited by 3point14; 29th November 2018 at 04:59 AM.